Um.. It's been a while.. Hasn't it? I know, how can I write a post about handling blogging and school and then fall behind on my blog! A lot has happened in the past few months, and I'll give the details at a later time. For right now, I want to share with you my favorite go to body scrub. 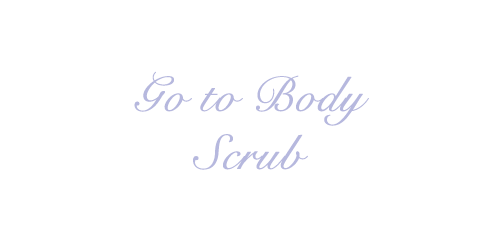 I've tested out a few body scrubs before and they were pretty good. The only downside was the feeling I got after washing the scrub off of my actual body. Sometimes my skin would feel very smooth afterwards, but other times, it wouldn't feel so good at all. It seems like Dead Sea products are all the rage nowadays. I tried a dead sea mud mask and I LOVED it so much. Of course I had to try out a dead sea salt body scrub too! This lovely company called Adovia sold through goPURE Naturals was able to provide me with their Adovia Dead Sea Salt Scrub. (You can find this bad boy on Amazon). You can get it right now for $13 with Amazon Prime. What's good about this scrub is that it not only exfoliates your skin, but it also provides moisture to the skin with the oil that is used. The container holds 11oz of product. This is what the body scrub looks like when you open the container. What's good about this is that there isn't a high oil to dead sea salt ratio. So when you use it, you're not using too much oil on your skin. It's enough to scrub your body, yet enough oil to moisturize your skin. 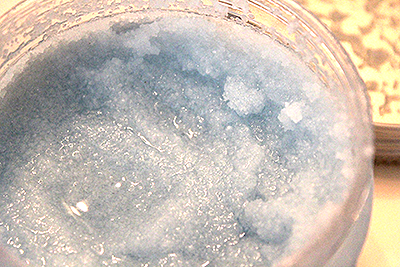 I've tried other body scrubs, even homemade ones. This combination of natural oils and the dead sea salt makes you want to relax and take a nap right after using it. It soothes your skin even when you dry off so there isn't a need to put lotion on, unless you're personally still feeling dry. What's also great about this product, is that it is perfect for using before you want to shave your legs. That way you're taking away your dead skin cells before you shave the hairs off and you can get a smoother finish. 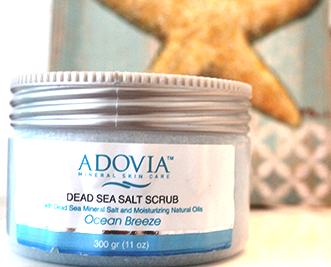 Adovia has a product range consisting of different products made up of dead sea mud and dead sea salt. You can check out all their products out on Amazon or you can check them out here. I highly recommend trying out this body scrub and I'm looking forward to purchasing some more products to try out. From one beauty lover to another, see you soon.